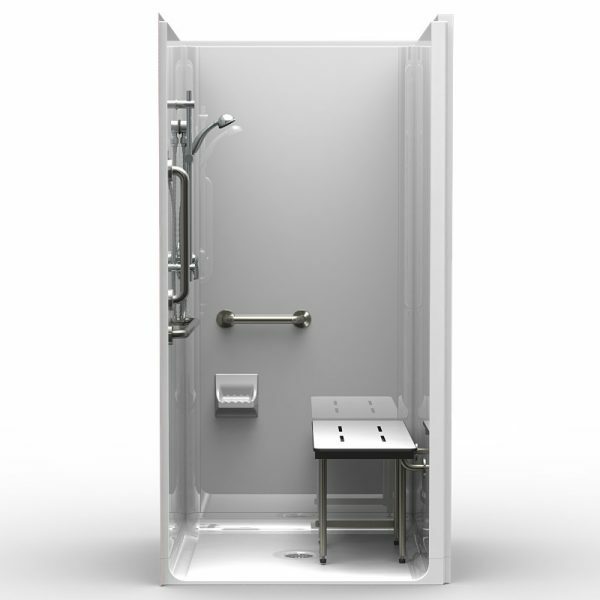 Whether you are looking to find an extra large spacious handicap shower stall, or one that is smaller, Aging Safely has the options you want. We have showers with thresholds as low as .75” tall and wheelchair ramps to help make the entrance a smoother transition for the bather. Equipped with ADA compliant grab bars, our wheelchair accessible handicapped showers offer a full spectrum of safety features. Not only is there a low step in height, but you can also choose to get a thermal mixing valve, which can help regulate incoming water temperature. This can make it easy to set the water to a comfortable temperature. Then the bather or caretaker doesn’t have to set the water temperature before every use. They also come with fold up transfer benches that provide an easier way to sit down and transfer in and out. Additionally, our industry leading roll in shower systems come standard with a 30 year limited lifetime warranty against any manufacturer defects. We want you to get the handicap shower that’s right got you. Please contact a representative today. A Roll in shower might be the right solution for you!The dangers of a slippery floor aren’t only limited to a bathroom, however the bath area is definitely a place where slips can occur. While a textured floor isn’t going to provide absolute assurance a fall won’t happen, it certainly is a nice feature to have. We want you to have all of the resources available and want to help keep you safe. Our textured floors are designed with the mobility challenged in mind and can provide a little extra grip for the feet when bathing. The grab bars are another important variable here and can help a bather maintain balance when transitioning in and out of the handicapped shower stall. Furthermore you can choose a caretaker curtain if the bather requires assistance when bathing. This is a great accessory option for residential home and commercial applications like a nursing home or long term care. There are a lot of handicap showers to choose from, not to mention numerous different features and options. We will help you figure out the best sizes, styles and features that work for you and your budget. 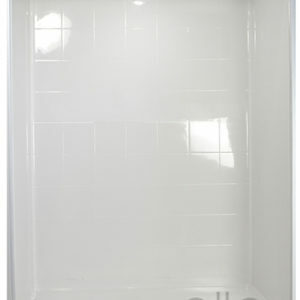 You can count on Aging Safely’s low everyday prices on the top walk in shower and walk in tub brands. Our customer service representatives put your needs first. It is our goal to have an exceptionally happy customer every single time. We will never treat you like a number and will always strive to help in every way possible with your new wheelchair accessible shower or tub. Click here to learn about shower tub combinations.